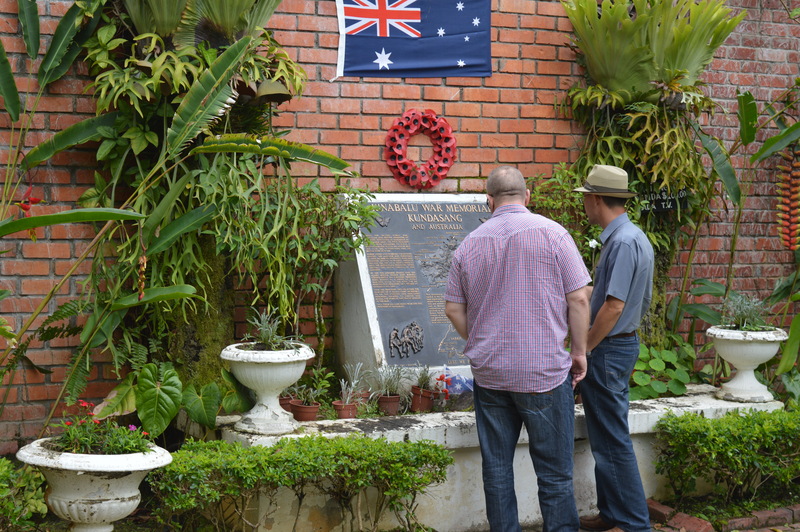 I’ve just returned from Borneo where I was fortunate to have had the opportunity to visit the memorial at Kundasang in the shadow of Mount Kinabalu to those who died in the Sandakan death marches during 1945. Only a handful of the 100 or so men forced by the Japanese to march from Sandakan on the coast to the inland town of Ranau survived. Most of the dead (and all of the survivors) were Australians. More information on the death marches is available from the websites of the Australian War Memorial and historian Lynette Silver. Ian, I would be really keen to have you in studio this Saturday, because of the times that are in it. Are you available? I am fascinated with your study and travels in Borneo. I thing that more should be made aware. We would work out the exact points to be discussed. Should I pursue Lynette for a call as well? Thank you Ian. Incidentally I am returning to Martin in a few weeks. Phillipa will be on. I am also doing a radio doco on him and will be asking for your input. Off to Ireland and Co Tipperary in March. For now This Saturday takes my thoughts. Regards, Frank Murphy. Radio Fremantle. Ian. Thank you so much for opening my eyes to this one. Lynette asked me to have a word in your ear, She jumped on to you when I answered her request as to how I knew about Sandaken. She asked me to have you correct the fact that you have to add another 0 to your numbers and it was 1000 as you know. ‘ Quite the formidable lady. I will have her on air in three hours time. Wish me luck. ‘ Best, Frank.